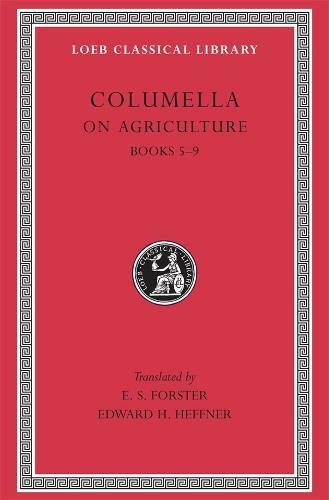 Columella's On Agriculture (De Re Rustica) is the most comprehensive, systematic and detailed of Roman agricultural works. Book I covers choice of farming site; water supply; buildings; staff. II: Ploughing; fertilising; care of crops. III, IV, V: Cultivation, grafting and pruning of fruit trees, vines, and olives. VI: Acquisition, breeding, and rearing of oxen, horses, and mules; veterinary medicine. VII: Sheep, goats, pigs, and dogs. VIII: Poultry; fish ponds. IX: Bee-keeping. X (in hexameter poetry): Gardening. XI: Duties of the overseer of a farm; calendar for farm work; more on gardening. XII: Duties of the overseer's wife; manufacture of wines; pickling; preserving. There is also a separate treatise, Trees (De Arboribus), on vines and olives and various trees, perhaps part of an otherwise lost work written before On Agriculture.